The Tea House, The king’s Garden – central Stockholm. I love the composition, so this is the second time I sketched this scene. Saunders Waterford 300g 28x19cm fine grain. I took it really easy today, I’ve been so busy during the last month – I really needed to take my foot off the gas pedal. 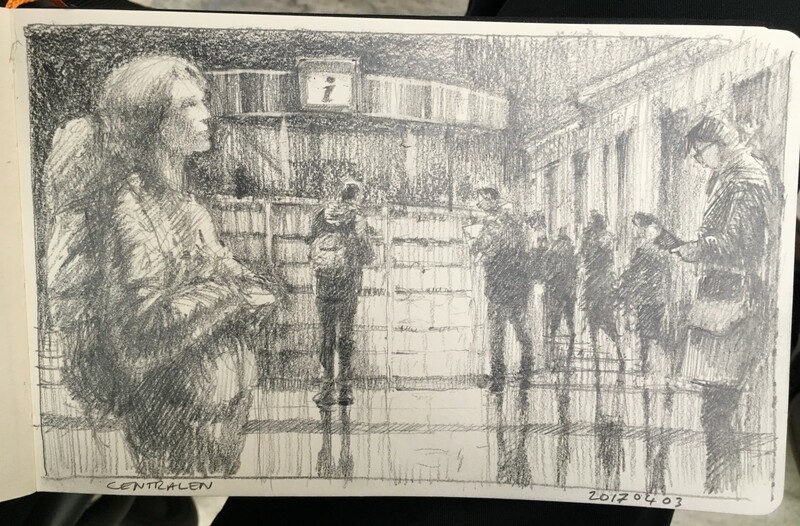 So, the first thing I did today was go to the central station and sketched the travelers as they waited for trains. In the afternoon I walked around the town and looked for scenes to photo and paint at a later date. I walked for 4 hours! 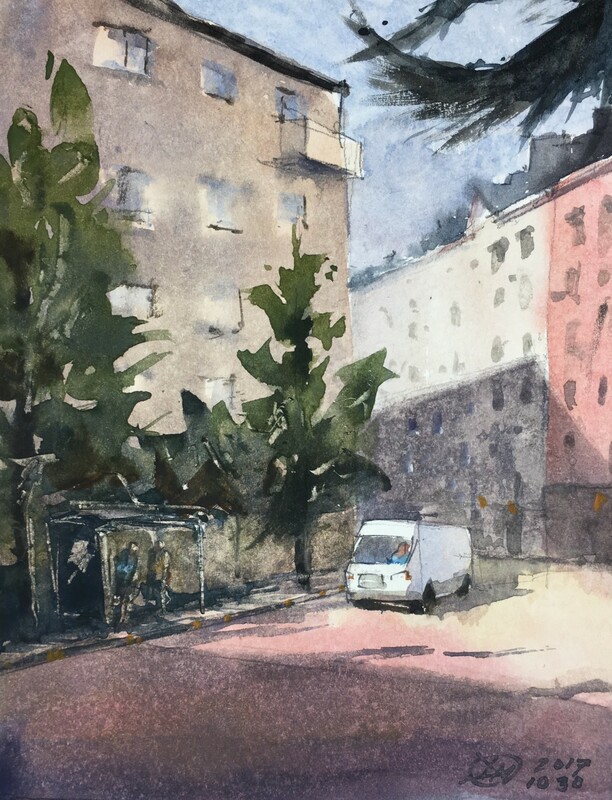 It was a sunny day and I was hunting the light, looking for scenes that were perfect for watercolours. I found quite a few so I’m happy. Tomorrow I’ll paint in the studio at home, my feet are feeling tired. I have life drawing tonight so I’ll sleep well. Every Saturday we get 1, 2 and 3 minutes to sketch. I get through a lot of paper and energy during those 2 hours. We get a few 5 minutes too but they are few. 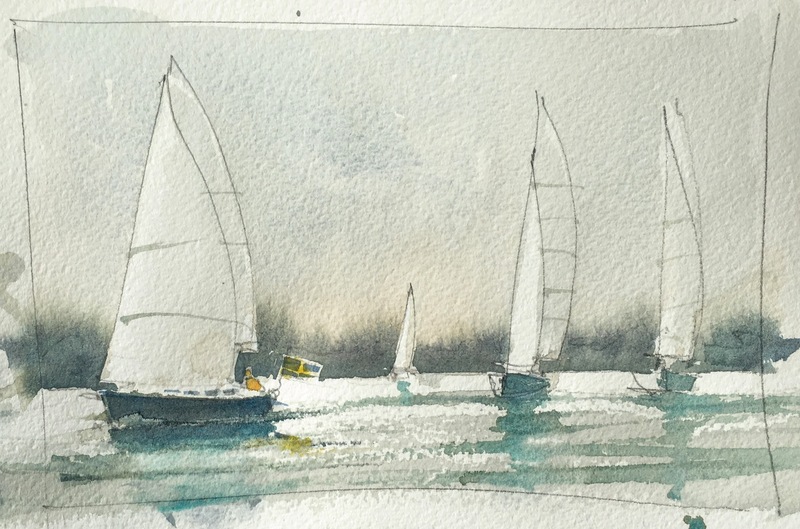 I like drawing at speed, it becomes more instinctive when one doesn’t have time to think. 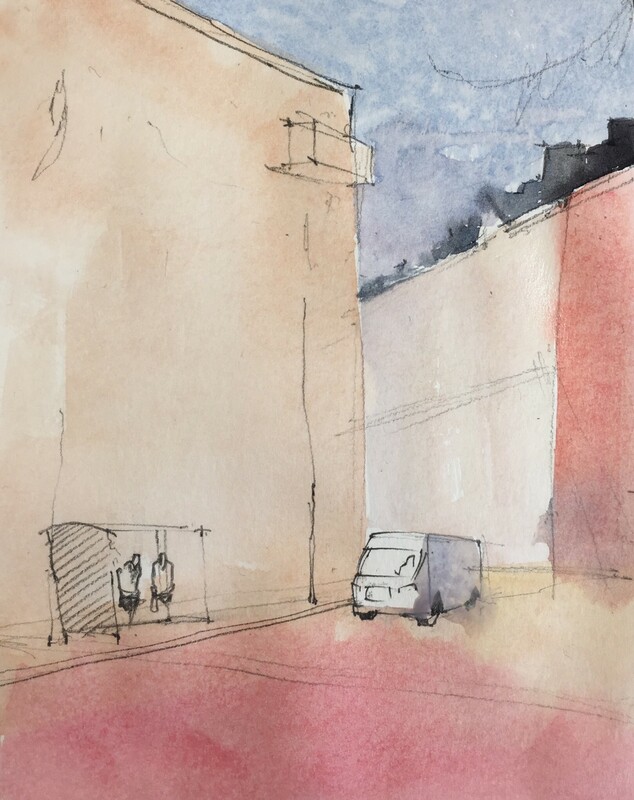 The venue was Basis here in Stockholm, the model’s name is Roza and my paper was A3 in size. 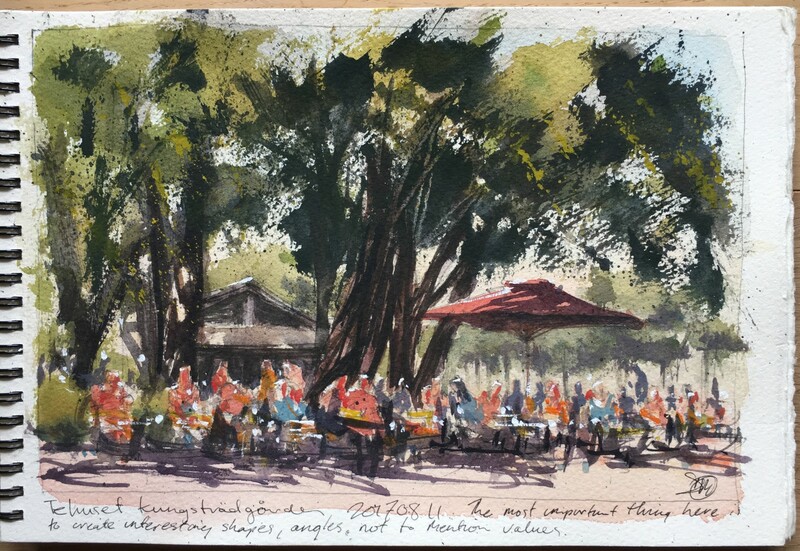 I haven’t published my watercolours for a while and my gallery site is 6 months without being updated. It’s time for me to get my act together. Here is a painting that I completed yesterday. More will be published soon.